The year began well. 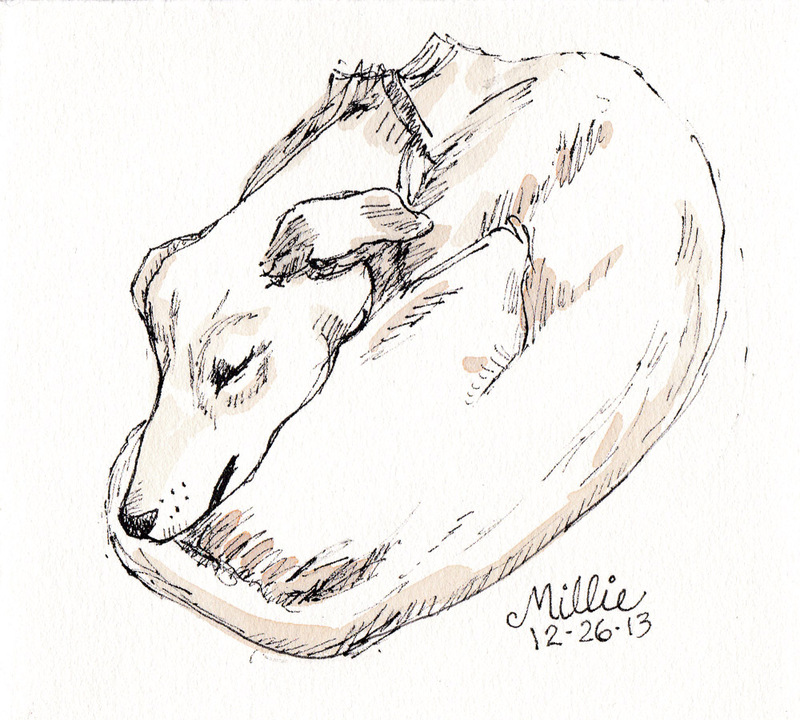 I completed this commissioned dog portrait (one of five I did in December/January) and my Urban Sketchers group had an exhibit of our sketchbooks and hosted a sketchcrawl for the community. I continued having fun sketching and completed several oil paintings (a decent portrait and some mostly unsuccessful sunflowers). 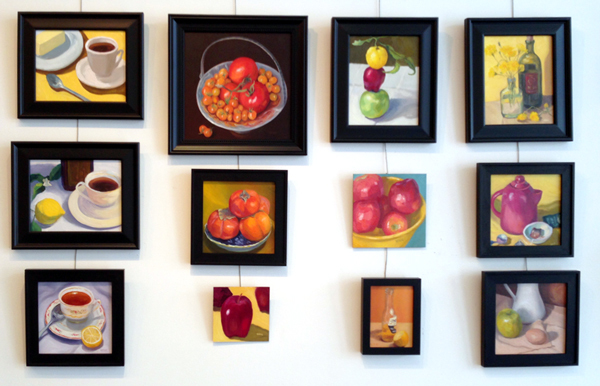 April was a creative month, with several oil paintings completed including my favorite above. 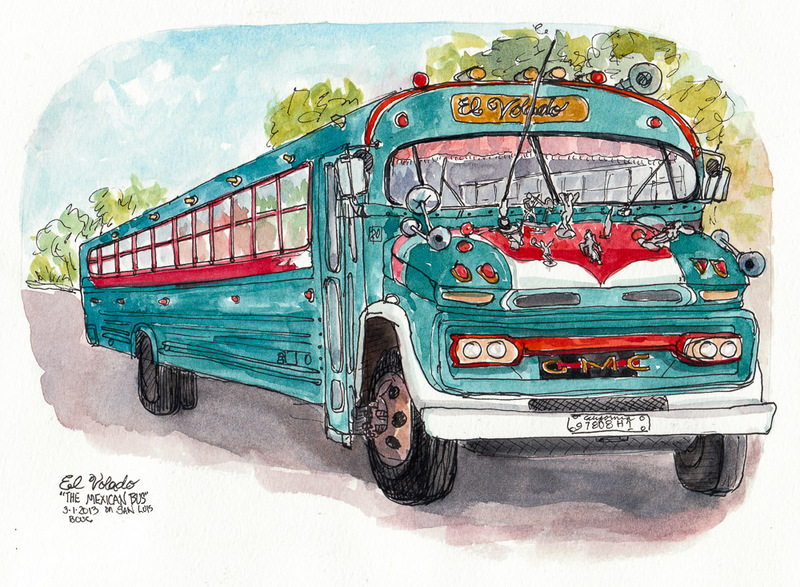 I started sketching in an 8 x 11 Moleskine (see bus sketch below) and attended a sketchcrawl, several museum shows, and the Codex Book Fair. May was the best month of the year because of the Every Day Matters “Every Day in May” project. I had so much fun doing daily sketching! 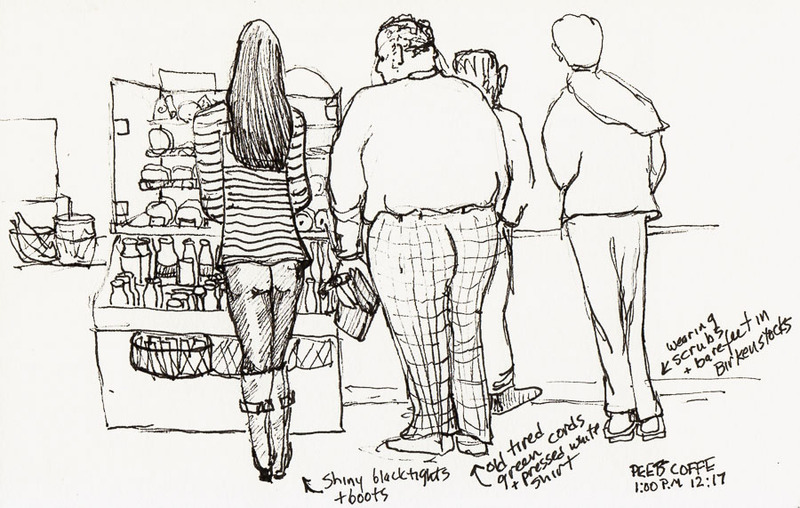 A UK publisher asked to include a couple of the May sketches in a 2014 book on sketching. After completing another commissioned dog portrait I began studying the Flemish oil painting method with Alex Zonis over Skype. The result was the Apricot painting at the top of this post, with more than 10 layers of paint, and three months work. I will post about the process soon. 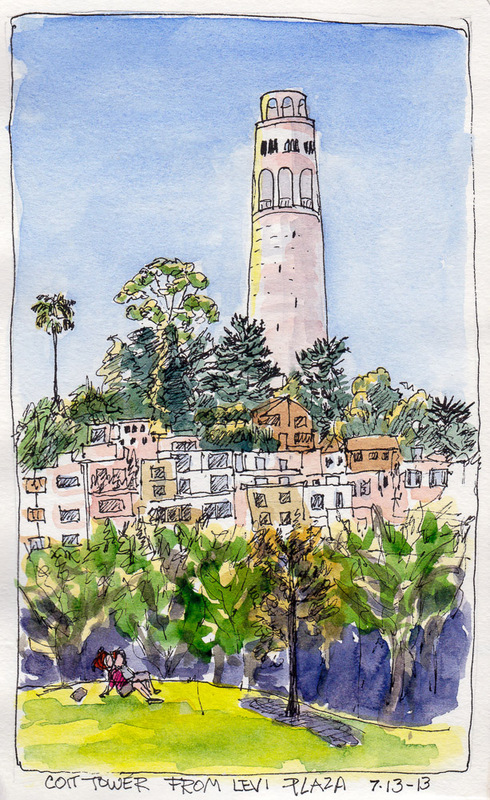 My Urban Sketchers group worked hard for much of July to prepare for hosting the first 3-day West Coast Urban Sketchcrawl in San Francisco and Oakland which was a great success with nearly 75 people each day. Meanwhile, I continued working on the apricot painting. August was a month of many successes: after a lot of prep work for the show at the Collector gallery, I sold 5 paintings and a print (4 at the show, 2 from my website, 3 of which went to France and Switzerland). I continued working on the Flemish method apricot oil painting with Alex; still the only oil painting in progress in the studio. September 2013: New York Art Adventure! I bound a new sketchbook and shopped for things I needed for my trip to New York City after deciding my funky, frumpy Berkeley visage wouldn’t cut it in NY. FINALLY finished the Flemish method oil painting of apricots! The NYC trip was fantastic! 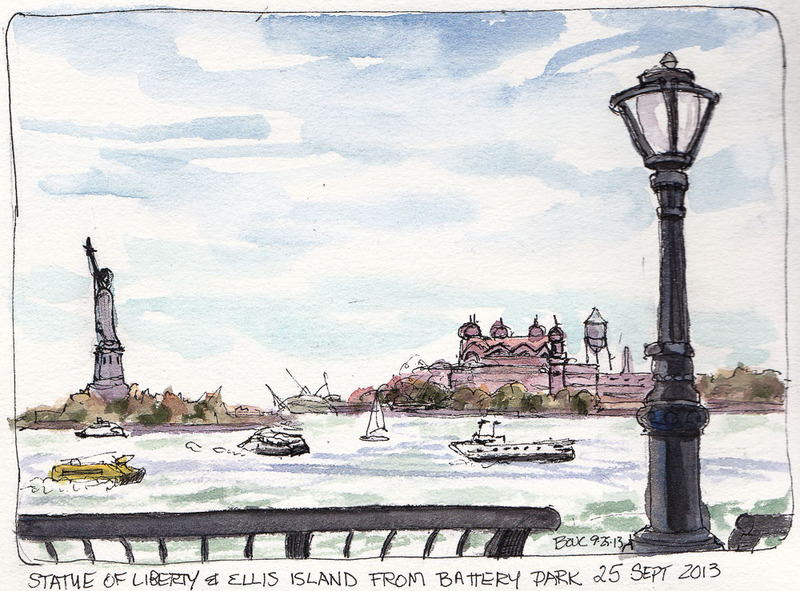 I had a blast, visiting with New York artist friends, going to museums and sketching the city. I didn’t want to come home! I did very little sketching or painting in October as I was sick nearly the entire month from a bug I caught traveling that lasted three weeks and finally required antibiotics. 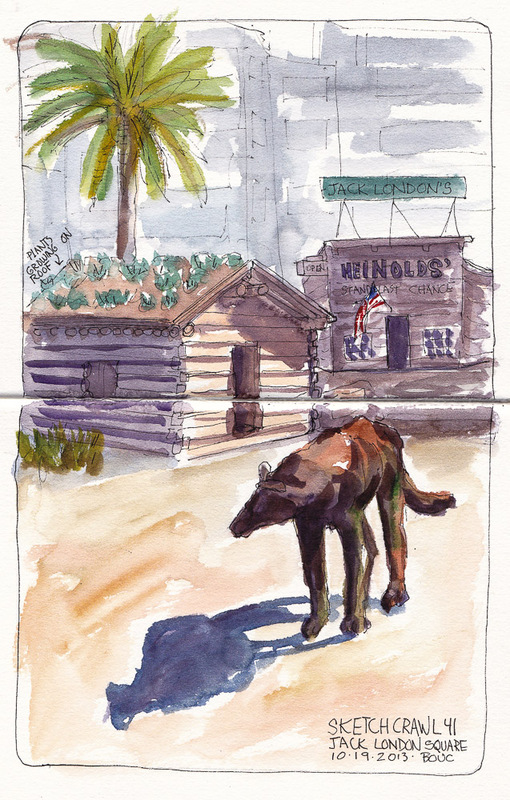 I did manage to get to a sketchcrawl at Jack London Square. I recovered from the October illness just in time to have a planned surgery on Halloween to correct a long-standing problem. The supposed 2-3 week recovery time took nearly 5 weeks. I was very grateful to be well enough to attend Thanksgiving dinner, my first real outing all month. 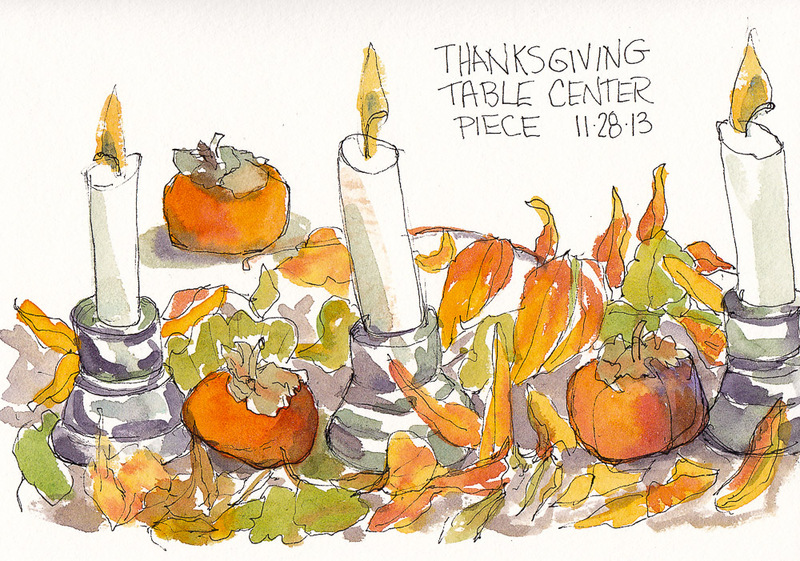 I did very little sketching and no painting in November, due to limited mobility and energy. I’ve wanted a dog for years and finally, just as I recovered from surgery I found my perfect pup. I’ve had 5-month old Millie for one month and she is so much fun. We’ve been walking 3 to 7 miles in nature every day. She’s a 20 pound Formosa Mountain Dog, who was rescued with her litter in Taiwan and shipped here by a rescue group for adoption. When I met her it was love at first sight. I’ve done very little artwork or blog posting while working out a routine with the dog and my two cats in December, recovering from surgery in November and October’s flu bug. 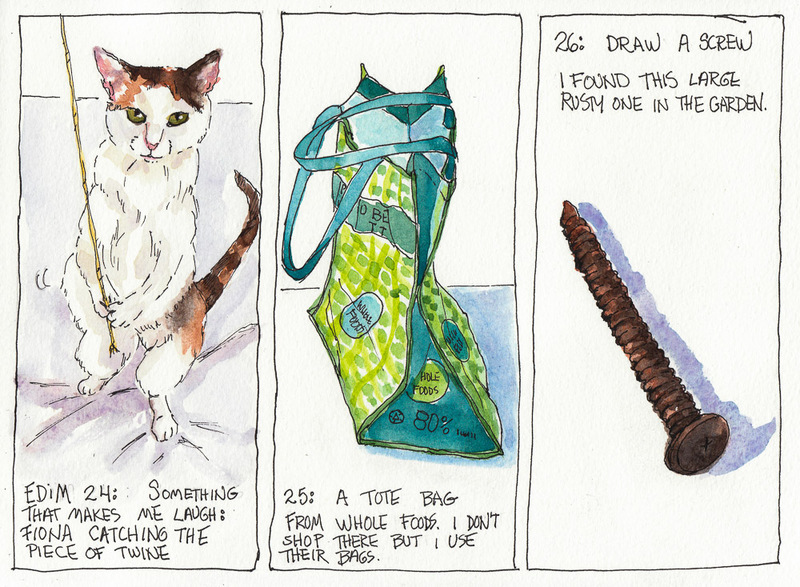 Now it’s a new year and I’m finding my way back to painting and sketching again (and hopefully more regular blogging)! My goal for 2014 is to continue to explore and focus on how (and what) I most enjoy drawing and painting, and then work more consistently with that approach and subject matter. I also want to focus on being more present and connected to nature, the seasons, weather, and the calendar, and reflecting that connection in my art. Your apricot painting is delicious! This is absolutely fantastic! I love every last thing! I am just in awe at the beautiful things you create, and how marvelous that you are not only gifted to see beauty, but talented and skilled enough to create beauty, and persistent enough to be so prolific. The Lord bless you! What a gift to us all. Wonderful review, Jana. So glad that you are feeling better and starting in on your New Year goals. Those walks sound ambitious to me but they will be wonderful for you and your dog to share. I always enjoy the beauty and humor that you discover and share with us. It adds to our own lives so much. Happiest of New Years to you !! Always great posts Jana. Wonderful review and so glad to see you’ve got a dog now. They are wonderful companions and even if not a guard dog, deter crime at your home. Stay well, and have a great 2014. P.S I had a hassle commenting on the blog !! Wow, what a year. i enjoyed reading your 2013 recap. Your work is all so good be it watercolors or oils. I look forward to hearing about Alex’ class. And I’m in LOVE with Millie. She’s the cutest. Give her a good girl pat on the head for me. Happy new year Jana. I hope you make it back to NYC soon. A happy & healthy New Year, Jana! 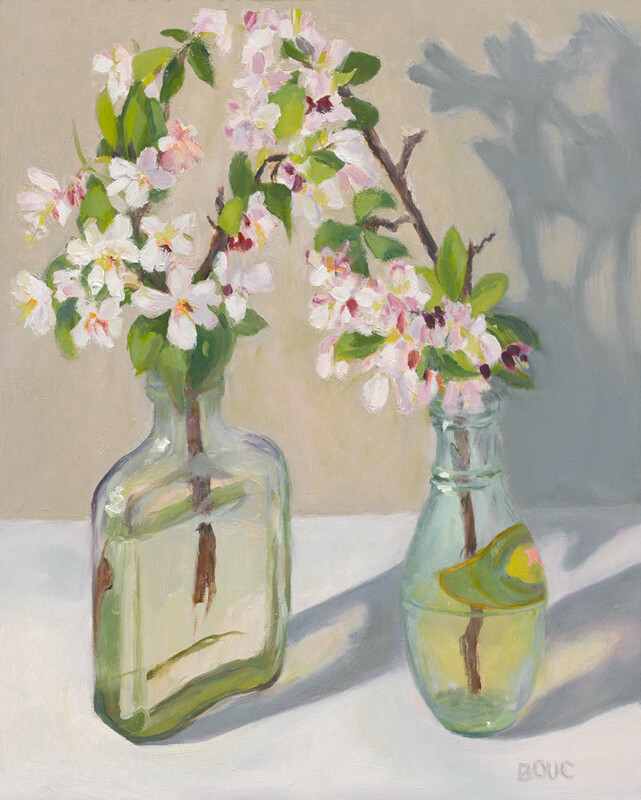 I love your work, watercolor & oils, and always look forward to seeing your posts. You are so gifted and talented. I learn a lot by reading what you write and observing your painting and drawing. I think I have a “little pen” in everything I do. 🙂 Enjoy Millie, what a joy! I look forward to seeing your 2014 accomplishments. With the exception of the last few months, you had a phenomenal year! I absolutely love the Flemish Painting technique paintings…so much that I think I might have to go learn something about it! Love your Millie…I see a future artist’s model! Happy New Year! Millie is gorgeous… welcome to the world of sleepless nights, training, love, cuddles, lack of a life, struggles to find time for art, but so so worth it! Ha ha. Yeah, some of that is definitely true, but I’ve really lucked out with her. 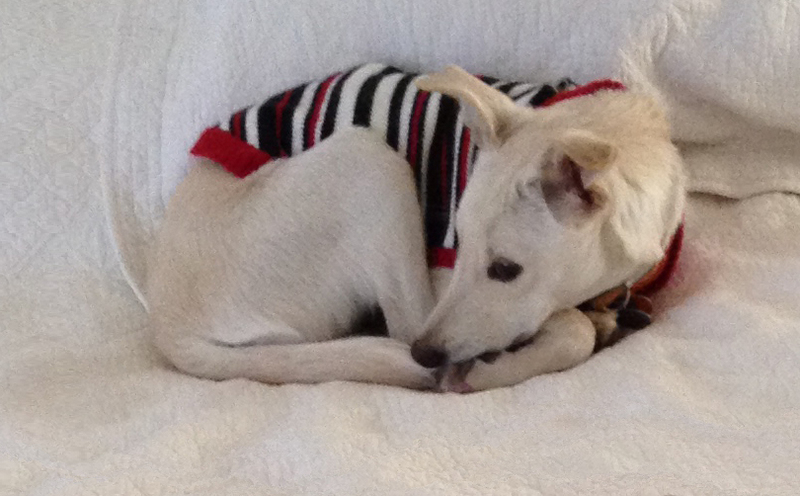 Her foster family did a great job socializing her and crate training her. She loves her crate and sleeps in there at night and when I have to leave her home alone (though I also use the back of my SUV as her home away from home and take her with me when the weather is cool enough or I park in a garage). In fact, she sleeps all night, longer than I do. I have to entice her out for a walk in the morning. We do a lot of walks and the rest of the time she’s pretty happy to sit in her dog beds that I keep on the sofa and another one in the studio and chew on dog toys or sleep. 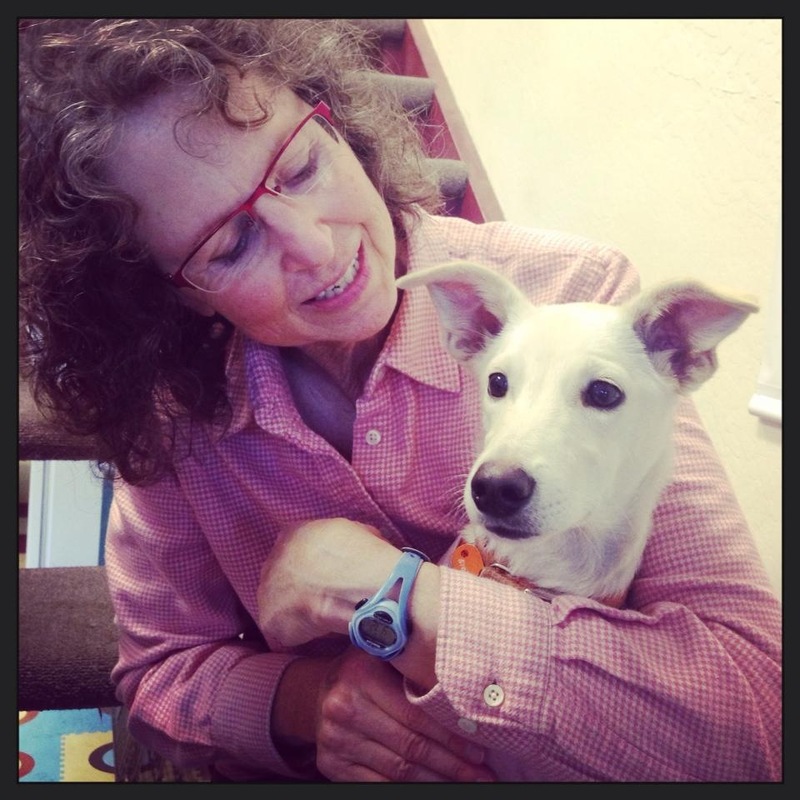 We’ve pretty much got housebreaking squared away, but the leash walking can be challenging as she has a mind of her own–especially around traffic: she either wants to run right into it or is terrified of it and won’t budge if we get near a busy street. Wow what a year. 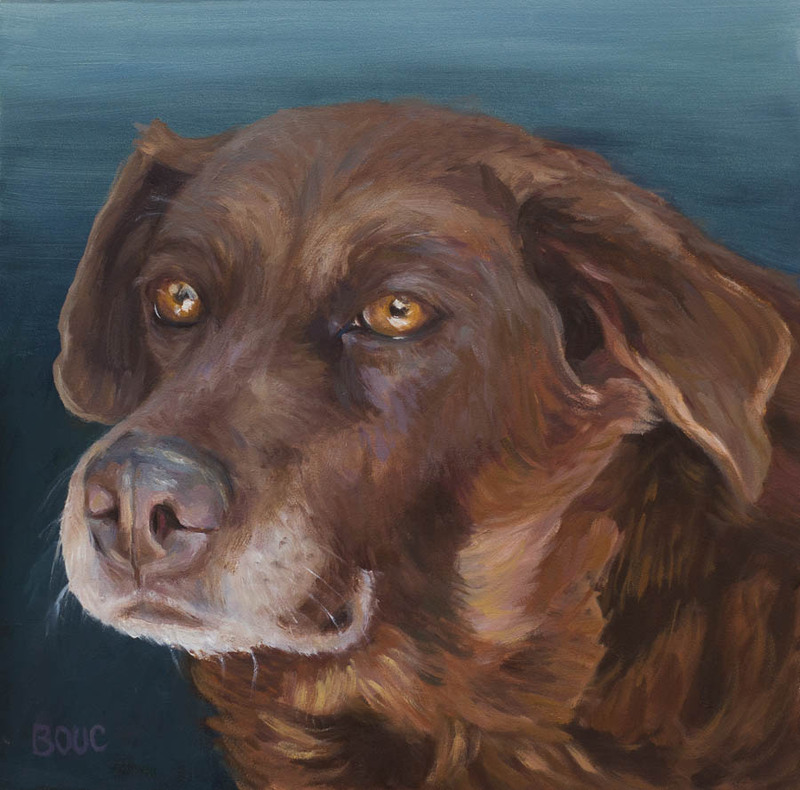 You did some incredible oil paintings, created some evocative, energetic memories in your sketchbook and best of all found the blessing of a real friend in your beautiful new dog. May 2014 be evn more filled with wonder and happiness. 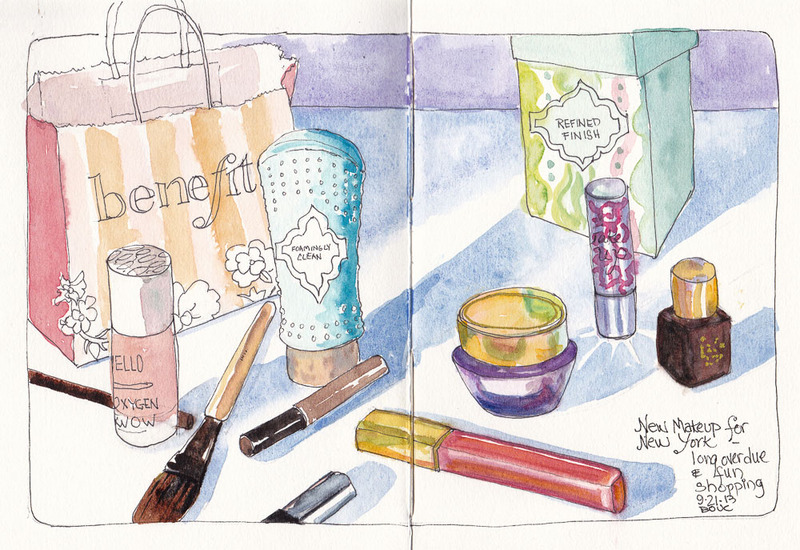 It’s sometimes difficult to keep painting & sketching amid life’s challenges, disruptions & busyness. Great to see your endeavors. 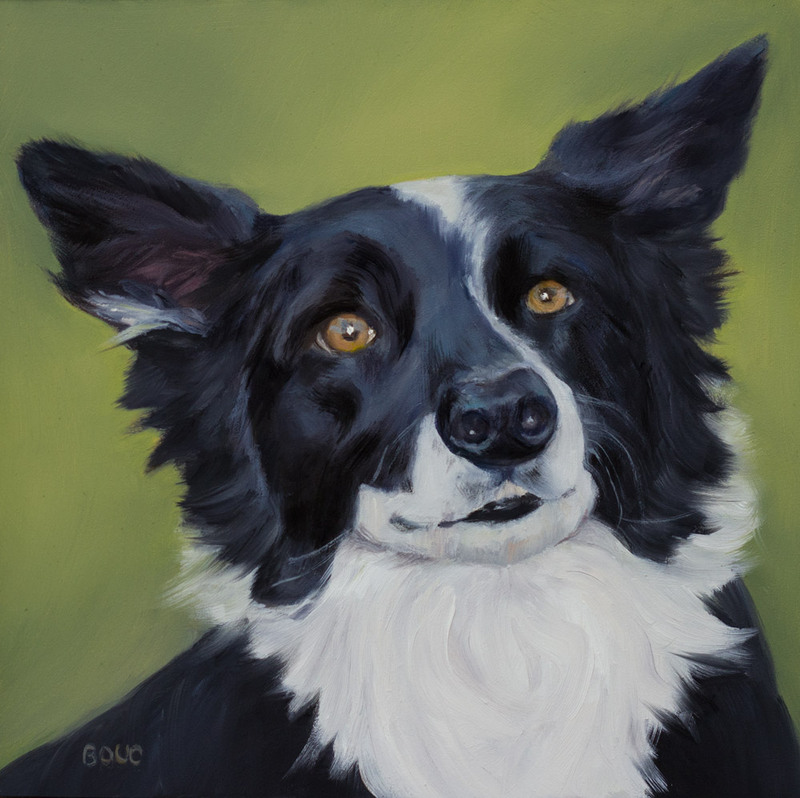 The dog portraits convey their “person”alities. 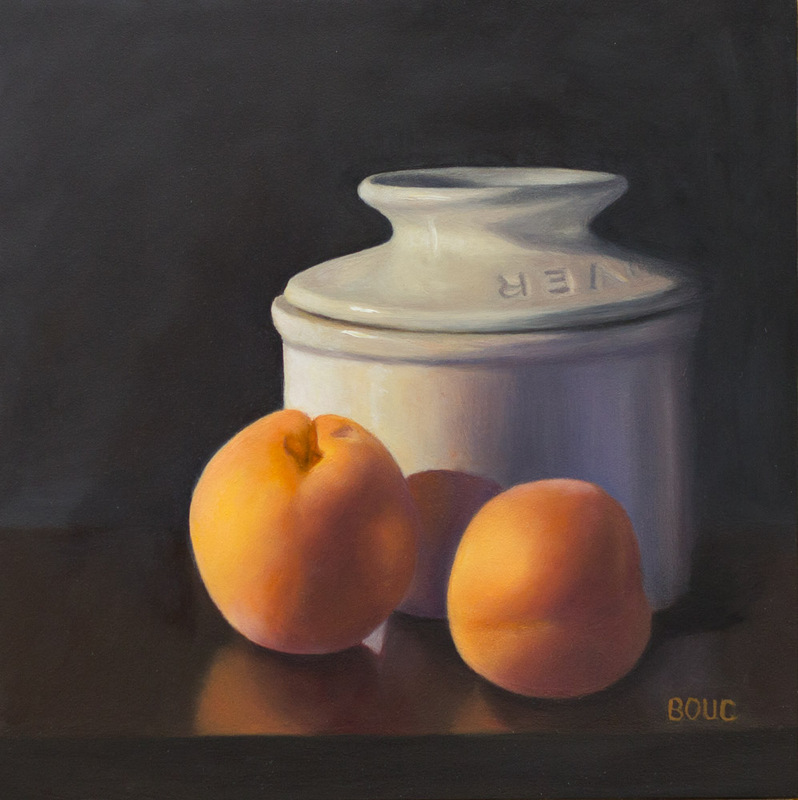 The apricots & jar — such lush textures & smooth reflections, subtle color in the shadows. Very delightful! Here’s to creativity in 2014! !